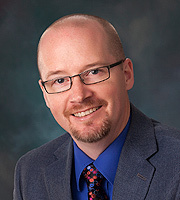 About Us – Chad Fehr Prof. Corp.
Chad Fehr Professional Corporation is more than an Accounting firm providing corporate and personal tax, accounting, bookkeeping, and payroll services to small business and individuals alike. 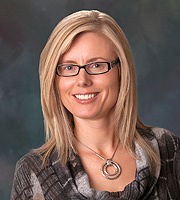 We are Calgary’s small business accounting experts. In fact, try something: pick up the phone or email us and see what happens…we will get back to you the next business day at the latest. We are accessible because we know how hard it is to get good advice when you need it. We serve small business owners and clientele in the Calgary area. We value your time so we make the effort to come to you when you need us. I’m happiest helping others and I’ve found the simplest way to help business owners is to be accessible, provide consistent, high quality and timely information at a fair price. It makes me feel good when owners are comfortable to call, email or text me with their questions; this is how I know I’m doing my job. Any professional accountant can file a tax return, but very few of us take the time to help you grow. I want to use my experience to help you. I’ve been the CEO of Sahtu Health and Social Service Authority in Norman Wells, NWT, as well as the Director of Finance and Administration(DFA), and the DFA for Tlicho Community Services Authority in Behchoko, NWT. I know how much keeping your accounts and books in order is vital to keeping your business (and your life) running smoothly. As the Accounting technician, I enjoy doing the things that would drive most business owners mad. It pleases me the most when owners are interested in their financial situation and make a concerted effort to provide us with the records we need to ensure they receive great value for their money.